The team at Oakley Lewes have had the most incredible six months landing not one, not two but three separate awards! 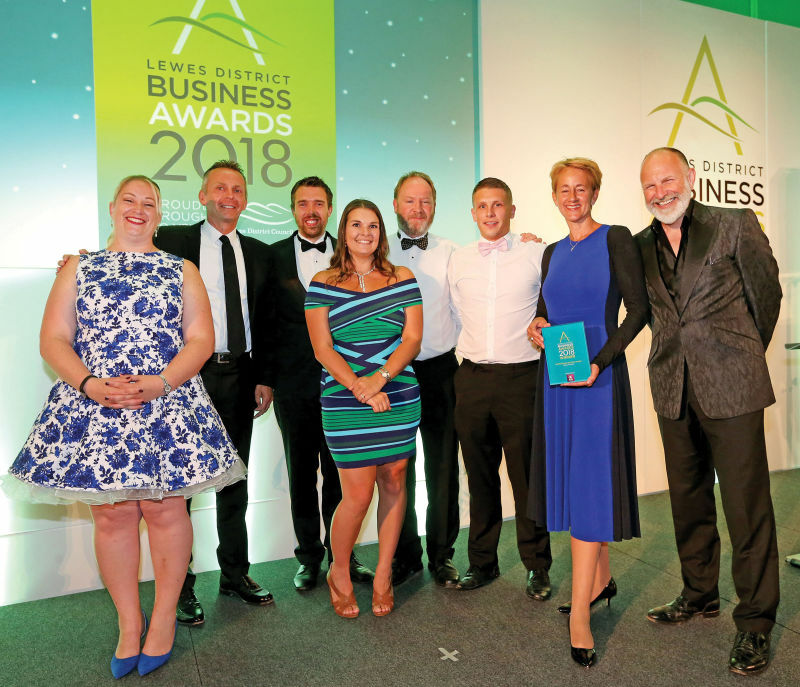 Back in November Oakley won the Professional Services Award at Lewes District Business Awards dinner. The Professional Services Award recognises businesses in the private professional sector who provide quality service, unrivaled expertise and deliver a market leading service to its customers. Then the next award set us up for an excellent Christmas when Lewes Director David Beaken and Oakley Executive Chairman Chris Oakley who were guests at the Lewes Fatstock celebrations when they were presented with Lewes Business of the Year Award by the Rotary Club of Lewes. To cap off a hat trick of awards Oakley Property has just won first place in The British Property Awards for both their Lewes and Shoreham Offices. Oakley has now been shortlisted for a number of national awards which will be announced later in the year. The British Property Awards provide agents throughout the UK with an invaluable opportunity to compare the service that they provide against the service provided by their local, regional and national competition. Agents who go that extra mile and provide outstanding levels of customer service are rewarded with the accolade, which acts as a beacon to highlight these attributes to their local marketplace. The Awards team personally mystery shops every estate agent against a set of 25 criteria to obtain a balanced overview of their customer service levels. Robert McLean from The British Property Awards said “Our award has been designed to remove any opportunity for bias or manipulation. If an agent has been attributed to one of our awards, it is simply down to the fantastic customer service levels that they have demonstrated across a prolonged period of time. Winning agents should be proud that their customer service levels provide a benchmark for their local, regional and national competition”. 2018 was the busiest year yet for Oakley Lewes and the team has gone from strength to strength. With two new staff members, Beth and Max, who both played a part in the mystery shop for the British Property Award, alongside Carolyn and Stephanie the whole Lewes team performed superbly as ever. The next six months look to be equally as busy with new home launches at The Ballantines in Wivelsfield, The Coachworks in Blackboys and Westdown Heights in Seaford. Looking further ahead there are a number of exciting and prestigious Lewes projects launching with Bell Lane, Atelier and Southdowns Park. So why not pop into our Lewes Branch and meet the team at 14a High Street Lewes, they are all over the moon and grinning ear to ear and looking forward to finding out how they can help you with any of your selling and letting needs. If you can’t make it into the branch you can always call on 01273 487 444, email at lewes@oakleyproperty.com or visit our new website www.oakleyproperty.com.